Introducing myself. I'm Gressett. Nice to be here. Got some nice posts. Gonna go browse. Find More Posts by .::GRESSETT::. welcome, I presume you have a 240? welcome..read rules, and use the search before posting. another newcomer? yall are multiplying like circus midgets. ^^^ I know huh! ALOT of new comers but Welcome!! Nissan Prayer- Our father, who art in Nissan hallowed be thy name. 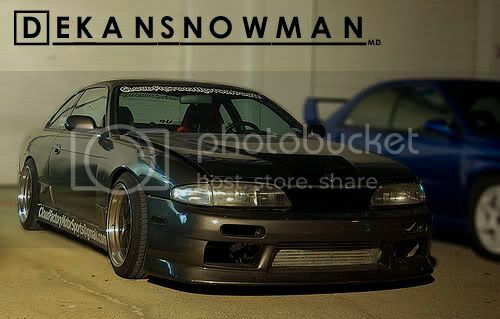 Thy KA-T has come, the boost will be done, in Silvia as it is in Skyline. Give us this day our daily kill, and forgive us our bad launches, as we forgive Hondas who launch against us. Lead us not into traffic court, but deliver us from the 5-0. For thine is turbo, and the piston, and the LSD. For ever. Amen! Look no further, buy mine. And welcome. I'm glad to see people already informing you of the rules. Let's us know at least some people know how to act around here. Thanks to you guys for following what few rules we have.